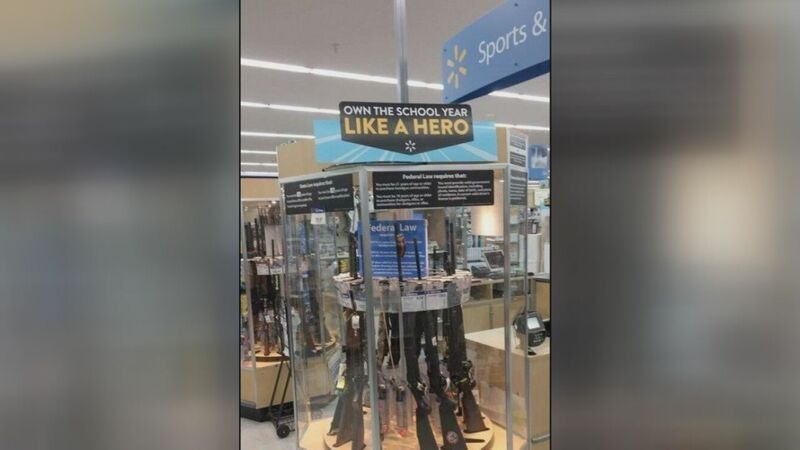 Walmart has removed a viral back-to-school banner that seemed to show guns displayed underneath it. The banner read, "Own the school year like a hero." Walmart apologized after someone tweeted out the picture from an Evansville, Indiana store. The company tweeted back saying: "This is definitely NOT okay. We'd never approve of signage displayed in this manner in our stores We're looking into how it happened." Walmart then went on to say the display was "horrible."